Epionce Intense Defense Serum is like a multivitamin for your skin. Within one week, this treatment has been clinically proven to reduce the appearance of wrinkles by 94%. With a complex blend of anti-aging ingredients, including niacinamide, shiitake mushrooms and melon fruit extract, this advanced serum improves elasticity, tone, firmness and texture. For those with all signs of aging. Niacinamide restores skin's youthful tone, texture and firmness. I love all Epionce products, this is my first time trying the Serum. I really like it but the reason for 4 stars is that the pump is terrible. It squirts out a huge amount and you can't control it. I do not know if all the pumps are like this or if I just got a defective one. As for the product, it leaves your skin feeling very smooth and hydrated. Love this product! My skin just drinks it in. Before I started using this product I think my skin was possibly dehydrated. I look so much more hydrated and better. I want to always us this. 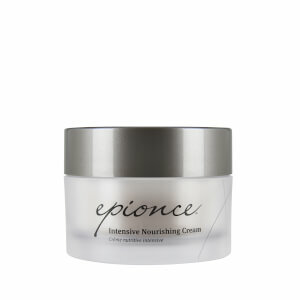 Epionce products are amazing! I highly rrecommend commend this product. You will see a big difference in your fine lines and your skin will be smooth. I hav used this product line for years and people asked what I use on my skin. I highly recommend this product. It makes my skin soft and smooth after just one application! This soaks in very quickly and is such a great antioxidant 'cocktail' for the skin. This is my second bottle and I love it. Yes, it's expensive, but it has so many great ingredients in it for anti-aging. I can see and feel the difference in my skin when I don't use it. Very light, as a serum should be. After it soaks in, I put on the renewal lite facial lotion. Highly recommended! I have used this serum for about a month now. I use it every night , not too sure if it helps with my fine lines. However, it's a nice serum and I will continue to use it. So far, so good. I am liking this serum that seems to be very nourishing & moisturizing. Thank you goes to my SkincareRX specialist, Courtney, who turned me on to some great products. One of which is Epionce. This is my go to serum! I have tried other serums but always go back to Epionce! After I apply the serum, I follow up with Epionce Renewal Lotion and my skin has a beautiful glow. This product absorbs and softens my skin. I use it under all of my other Epionce lotions on a daily basis.